Biography, Teachings of Vallalar, eBooks, Temple and Maha Mantra download. 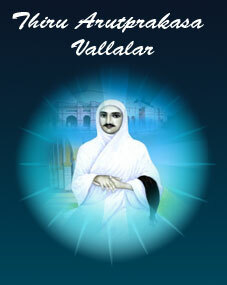 The Divine Hymns written by Vallalar. Categorized into Six volumns called " Thiru Arutpa திரு அருட்பா ", Jeeva Karunya disciplines and a Sanmarga explanatory book called "Urai Nadai". Discussion forum and provides micro websites for world wide Sanmarga branches for to post their events and spirtual discourses. Global Calendar of Sanmarga events happening around the world. Thiru Arutpa in mp3 formats. It is produced as part of Isai amutham project audio downloads. Thiru Arutpa Hymns available in app store for iPhone and Android.